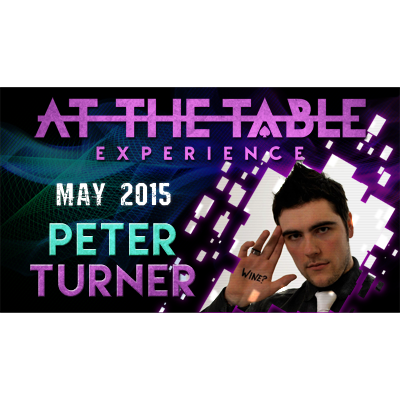 Today, when you order "At the Table Live Lecture Peter Turner 5/20/2015", you'll instantly be emailed a Penguin Magic gift certificate. You can spend it on anything you like at Penguin, just like cash. Just complete your order as normal, and within seconds you'll get an email with your gift certificate. DON'T BUY THIS UNDER ANY CIRCUMSTANCES! Instead you have to buy http://www.penguinmagic.com/p/5602. It's only $2 more and you get this lecture and Chris Mayhew's fabulous lecture too. This lecture has been a bestseller for the last month and it's been driving me nuts! There is no reason to get this when you can get the whole month of May for only $2 more. Please! Now that I got that out of the way, the lecture itself was decent. Well worth the ONLY $5 I PAID FOR IT (and you could too hint, hint) but it could've been so much better. Some of the tricks were super lame (the one where the spectator guesses his PIN. side note: use a super Sharpie/boon writer. BAM! Now it's great trick. That tip is worth at least $5. You can pay me next time you see me) What was great was to see his ability to make a lame trick very good. Now your job is to learn how to apply what he's telling you to great tricks and make them unbelievable. By far the best thing here you could totally miss, so watch for his tip on having them not write on the business card by the guy working behind the counter who thought of Leo. That tip is worth far more than this lecture. I do just wish I didn't have to sift through so much garbage to get the gold. Now I know some of you are going to get upset and say but the theory is important too, and the inspirations are important too, and the .... is also important, and it's okay if he just teaches 3 or 4 tricks. True. But compare this to Luke Jermay's incredible PenguinLIVE lecture. There are also only 3-4 tricks, but they were ROCK SOLID KILLERS THAT WILL WORK, and there's a ton of theory and inspirations and history and all the other stuff, and guess how much rambling there was? Not 1% of what this lecture had. Peter Turner excels himself,sharing workable secrets and insights in unfathomable detail. If your a mentalist or want to be ,this is arguably the best seven dollars you could ever spend. I could be here all night. But the star sign system and routine alone are worth every minute of your time to learn. Yes it may look complicated,but believe me,once the penny drops, its not at all. If I can pick it up,you can too. Along with clever methods, presentation and performance tips,we learn about Peter himself,where he came from and where he plans to be. An amazing young man,with a wonderful mind,and bags of talent. This lecture is ver, very informative and I enjoyed it very much , it contains invaluable information and Peter "Threw his cap into the ring " so to speak and performed what it said on the tin. Good on you man ! The effects were very deceptive and had a LOT OF THOUGHT AND INSPIRATIONAL PEOPLE behind them. Heres the thing and this goes to Penguin as much as it does to the lecturers; as an observer watching to be entertained and take away information with them to enable me to create and perform the effects myself; I need to know before hand where this is going and what I am going to come out with. ..... a lot of credits to other mentalist and inspirational people in Peters thinking, but because they are only sliped in verbally and without any real direction I found myself like others have done struggling to wrap my head around it. It was like going for a drive in the alps , lots of turns and windy bits ; alright for a while but sometimes too much. next we will break down the HOW, WHEN , WHERE, WHY it is achieved , AND FINALLY to accompany this lecture you will receive not only a pdf with a timestamp of the lecture but also a full list of the people credited in the lecture and the effects. I am sure other people will feel the same and others are not overly bothered by theory .....In which case leave the theory for all the effects to the end for those that are. I am sure this way it will flow much more smoother and meet the needs of the masses more gracefully. What steps will I be taking to acheive this (How's it done ) . When can I do this (suitability) ? Where can I do this (location)? This is one of the best products i have purchesed in long time, Peter is the greatest and i own everything he has release. He has changed me to a better performer. You will not regret purchasing this product. This is a nearly four hour lecture with Peter Turner. Its Peter Turner for under ten bucks. What more do you want? He talks methods of divining cell phone codes, dates, favorite numbers, etc, he talks about theory and principle, and he talks about his development as a mentalist. Worth triple the price easy, GET THIS! Wow! I had never bought anything by Peter Turner, because I had heard a lot of negative things about his material not being practical. I decided to finally give him a try with this lecture, and I was not disappointed. Absolutely incredible material here! 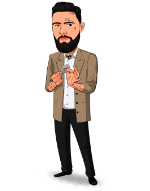 Peter, thank you so much for showing how beautiful our art can be! A LOT of killer information here, definitely too much to simply memorize. Peter is a pleasure to listen too, and seems to hold very little back. I will definitely be returning to this lecture regularly in the future. 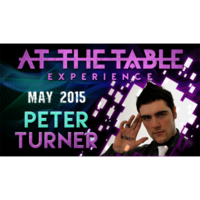 This lecture reveals Peter Turner's bold approach to mentalism. Several effects are taught, but that's not the reason to buy it. Peter provides insight into how he does near prop-less mentalism, using his bold techniques, a borrowed iPhone, pieces of paper and pencils. This price is too low for so many informations. The first effect is already worth the whole price but you get many more. Not only the effects, advices but also little gems (like Canasta's thing). And Peter's stories and tips are priceless. if you are fan of mentalism, peter turner is one of the best guys on this field, he have the best collection of propless mentalism i have ever seen, they are a lot of bold methods, but they are sooo awesome.